Enter the realms of the mythical. 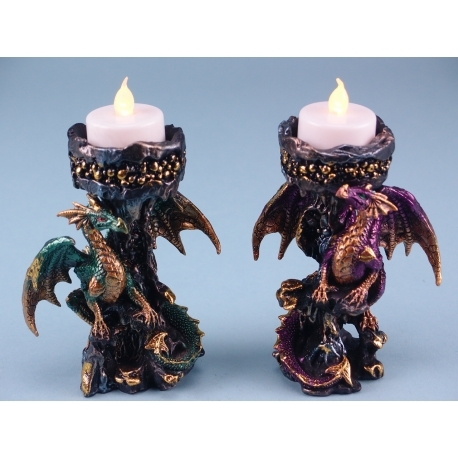 Descend into the world of magic and fantasy with your customers with these dragon tealight holders. 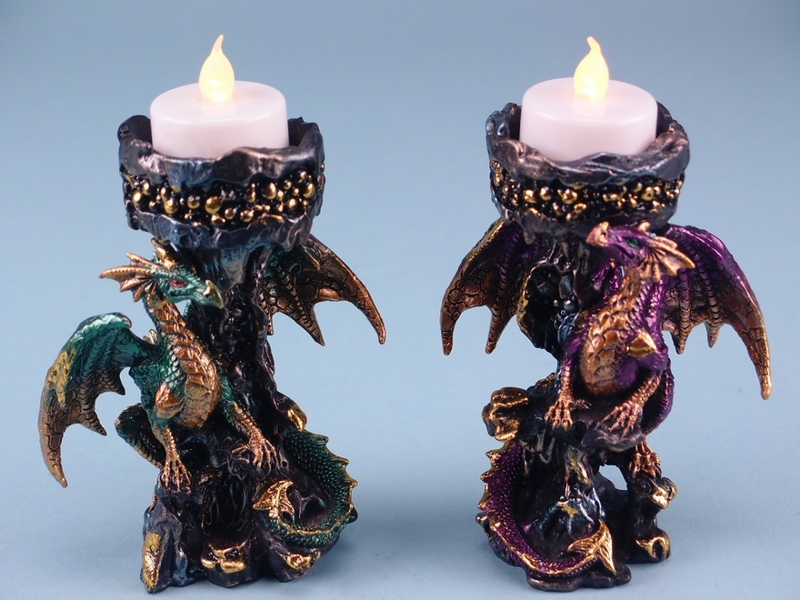 Each individual tealight holder shows a dragon sitting on a rocky turret in two different designs. One is decorated with a green and gold metallic effect dragon while the other with a purple and gold metallic effect dragon. When your customer adds a tealight, they will be transported back to medieval times of knights and castles. These tealight holders are approximately 13.5cm high, each packed in its own box. When stocked, these are sure to fly off your shelves.